Clear vision is an important sense, and in this digital age, to have it is to be gifted with the means to move in the world with ease. It is thus imperative to spare no effort in ensuring that your eyesight is excellent at all times. For some people, maintaining optimal vision means using corrective eyewear, which is usually prescribed by an optometrist after a comprehensive eye exam. 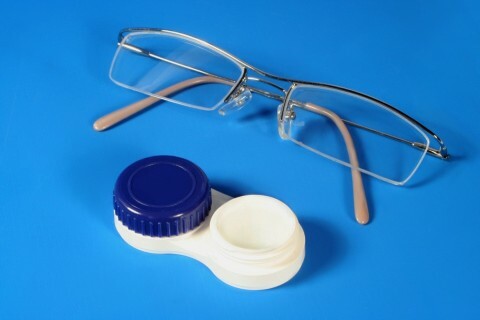 Patients can make a choice between eye glasses or contact lenses, or in most cases, they prefer to have both for use alternately. To most eye doctors and specialists in Bolton, it all depends on personal preference. Either way, both eyewear serve the same function of correcting refractive errors like Myopia, Hypermetropia and astigmatism, and other eye problems. Eyeglasses provide a protective shield from dust and other particles that could irritate your eyes. It’s a major advantage over contact lenses because with lenses, if dust and debris irritate your eyes, they are more likely to turn red or watery. You will be extremely uncomfortable with lenses in the event of an eye irritation, and may need to remove them temporarily. On the other hand, contact lenses offer an unobstructed peripheral vision, allowing you to fully participate in physical activities without worrying about anything breaking. People wearing eyeglasses usually have to put their glasses safely away before any doing rigorous activities. Unfortunately, with glasses, you may not be able to play as hard as you’ll need to without constantly worrying about damaging them. Nevertheless, since they both serve the same purpose, there’s nothing to stop you from getting both. 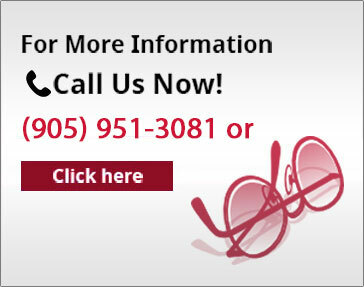 If you live in Bolton, Ontario, you could discuss your concerns and preferences with experienced eye doctors like Bolton Vision Centre. Generally, optometrists are always willing to listen to your needs, but perhaps the coolest aspect of this family optical clinic is that their inventory features a host of designer eye glasses. From Gucci and Serengeti, to Prada and Versace products, who says you can’t use your prescribed eyewear when it could be an excellent accessory to enhance how you look?